Hacienda de Guru Ram Das is the home of the Siri Singhasan e Khalsa Gurdwara, the beautiful, golden domed addition to our ashram that was built through the volunteer labor of the members of the community. Our Gurdwara follows the spiritual tradition of the home in the heart of all Sikhs, the Golden Temple of Amritsar in India. Next to the temple complex is the Langar hall (dining hall) where all persons, irrespective of race, religion, or gender, are invited for community meals without any charge. We serve a free meal every Thursday at 12:30 pm, and langar on Sunday's following Gurdwara services (approx. 1:00 pm). 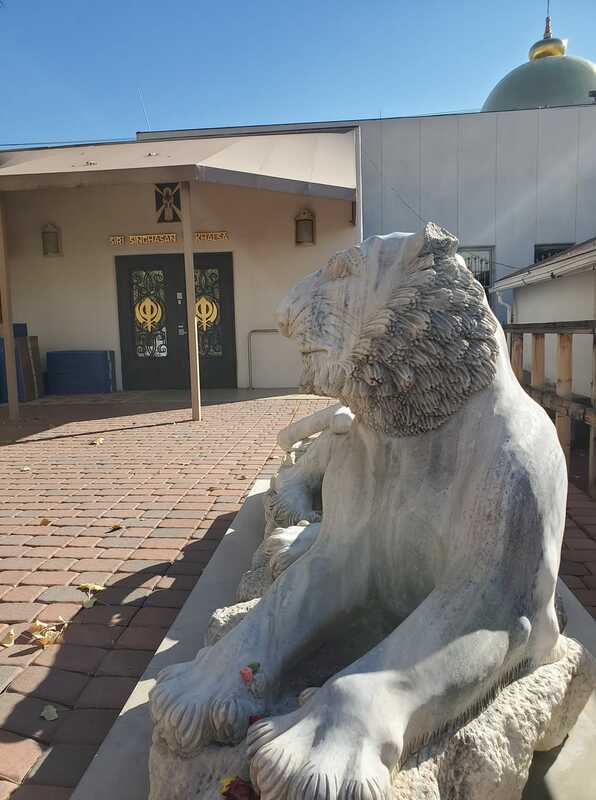 Visitors who would like to schedule a tour of our Gurdwara should contact the ashram secretary at least 5 days in advance at (505) 753-6341 or [email protected]. Please leave an email address when calling to inquire about Gurdwara tours or other events.